We often hear people claim they're going to "disrupt" an industry, even fundraising. "This will change everything," they promise. And the implied threat is that you'd better adapt or get left behind. They are usually selling a website or an app that is supposed to take away your fundraising woes. Usually by making you sell their service to your donors. Getting people to behave differently is incredibly challenging. But every so often, you see a true disruption. Most of the time these "disruptors" flop. That's why I'm so glad Tom Ahern pointed us in the direction of Beate Sørum's post on a true disruption in fundraising: losing the donor relationship. Up until now, we know the donors who give to us. And the act of giving requires enough information so we can personally thank them. Sure, stock transfers and donor advised funds have complicated that a bit. But for most nonprofits, the volume is low enough that they can trace the stock transfer or donor advised fund gift back to the giver. Not so with Facebook fundraisers. As Beate points out, Facebook doesn't let you know who gave. (I've confirmed this with other nonprofits.) It's like they've closed the road to through traffic. So you might get hundreds or thousands of donations from this a person's birthday campaign. But you "only" get a check from Facebook. No other way to follow up. So what is a nonprofit to do? Beate says you can fight hard to do business as usual. That doesn't end well. (Remember Blockbuster? I don't either.) Or you can adapt. And we're in the stage of figuring out how to adapt. As we figure this out, here are a few thoughts on how to grow relationships when you're not allowed to know the donors. Thank the fundraising organizers: In talking with various clients, they report that Facebook lets them see who is organizing fundraisers on their behalf. So respectfully reach out, thanking them. And asking if there's anything they'd like you to do to support their effort. Maybe you could share a download on your site for a tip sheet or ebook. And creating a landing page on your site for each fundraiser would allow you to tag the person as having been involved in that specific fundraiser. It's not a perfect system, but it's better than nothing. Ask each organizers if your organization could share a "thank you" note in the event: The thank you could be an image or just text. And you could try adding a link to a thank you gift (like an ebook or tip sheet or even digital wallpaper or ecards). 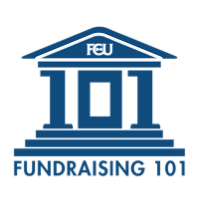 Get systematic about interacting with the posts on fundraising campaigns: Nonprofits can still like and comment in the events. So experiment with liking and commenting to see if that helps the organizer's efforts be even more successful. But be respectful. This is the organizer's "house" party, not yours. So be sure to be ready to stop if the organizer or their friends think you're intruding. It's almost like adding "organizer relations" to the list of relationships for your development office, isn't it? The giving on Facebook is definitely isn't the end of the world. Book authors do not get information from bookstores or Amazon on who exactly buys our books. And yet we can still grow relationships with readers. So hopefully what looks like a "road closed" sign is more of a detour. But right now it sure is disruptive. And it will take a lot of testing for us to get this right in the nonprofit sector. You'll discover the 21 ways each board member can help their nonprofit's fundraising - even if they don't like to ask for money!